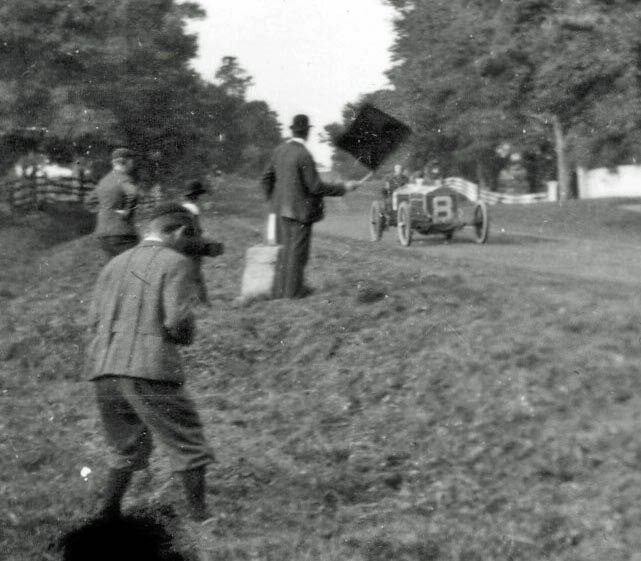 A wide variety of American cars were entered, including the 90-hp Locomobile and a 60-hp Pope-Toledo, which had both participated unsuccessfully in the 1905 Gordon Bennett Race held in Europe; a 40-hp White Steamer developed by the White Sewing Machine Company; and a unique front-wheel drive Christie. 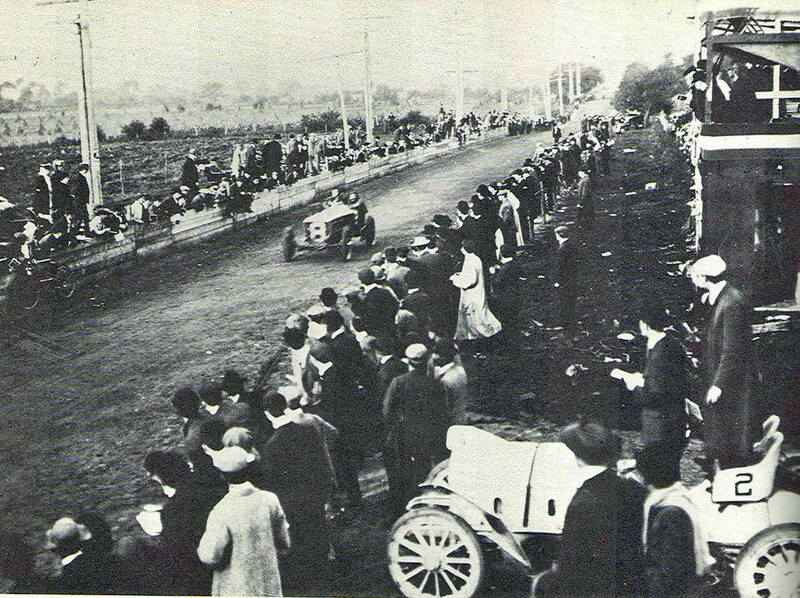 Two cars eliminated themselves before the start of the race; the Matheson did not start and the Premier was ruled overweight. 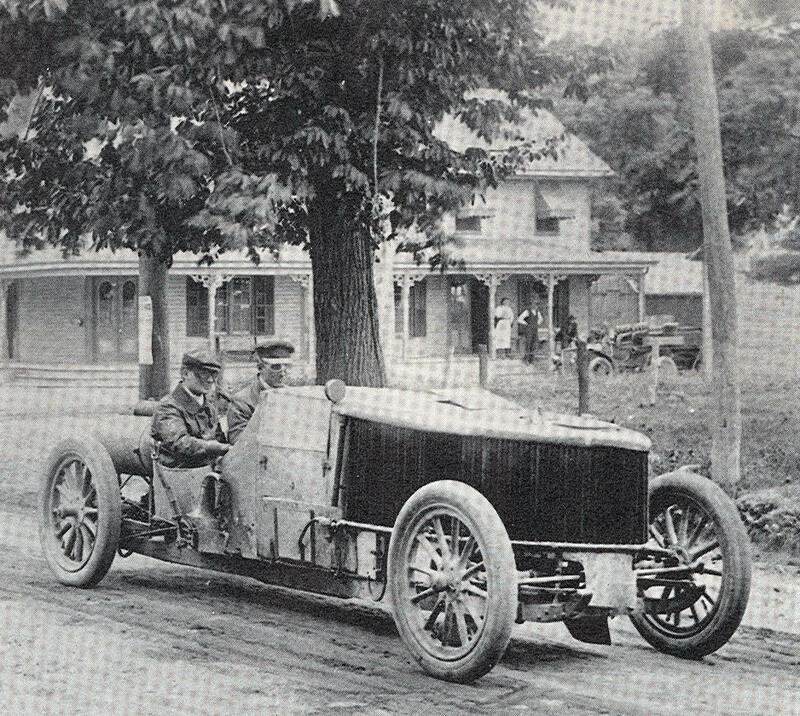 The Premier was to have been driven by Indiana daredevil Carl Fisher, the future developer of Miami Beach, Montauk, and the Indianapolis Speedway. Of the 10 cars that made it to the starting line, four were not even running in the second lap. 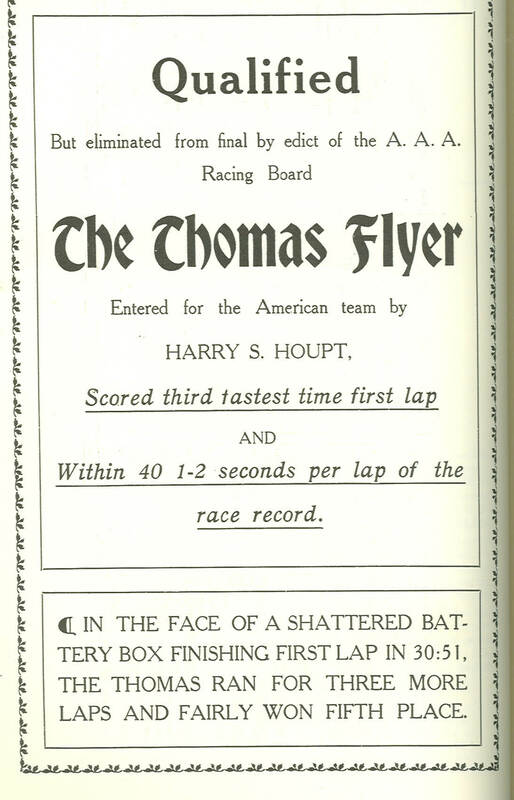 Bert Dingley in a Pope-Toledo overtook Joe Tracy in the Locomobile on the last lap, averaging 56.5 mph and winning by 59 seconds. 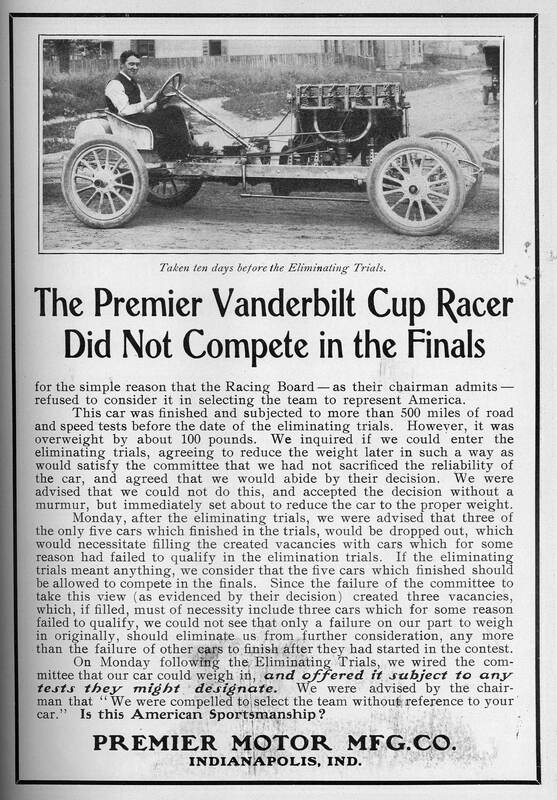 Despite an outcry from newspapers and automobile magazines, the American Vanderbilt Cup Race Commission retained only the top two finishers and selected three also-rans to complete the team: the Christie, the White Steamer, and another Pope-Toledo. 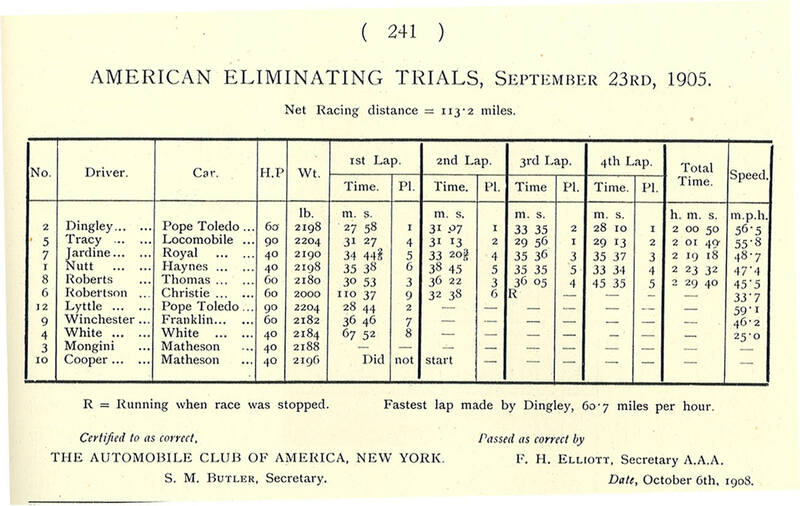 A comprehensive review of the 1905 American Elimination Trial can be found in the Races section. Instruction to the contestants. My favorite; "Give positive warning of your approach, either by horn or trumpet." 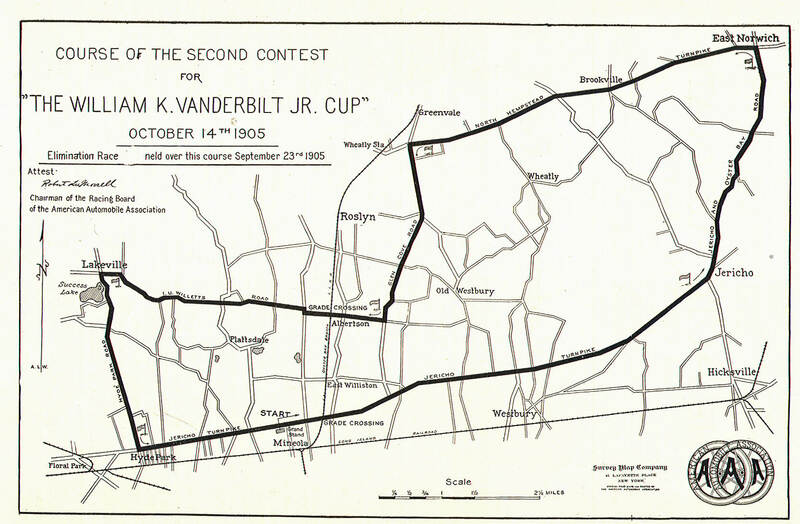 The course for both the 1905 American Elimination Trail and Vanderbilt Cup Race. 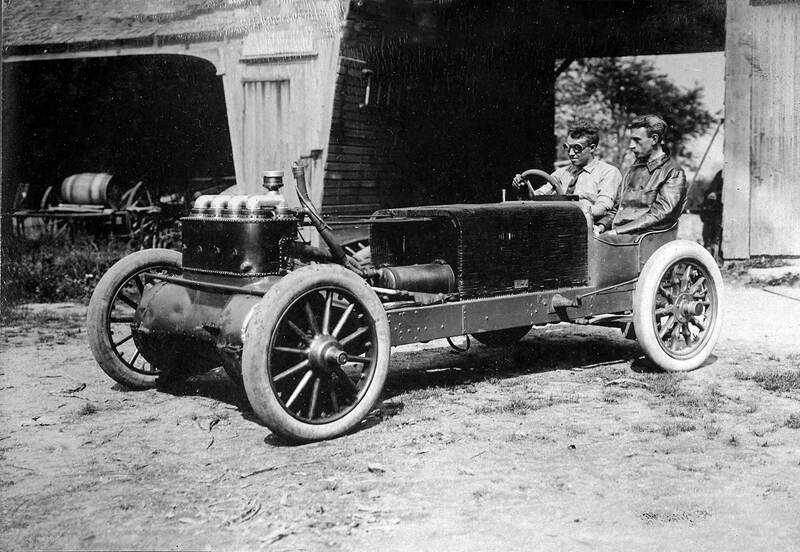 Driver George Robertson with mechanician Walter Christie in the front-wheel drive Christie. 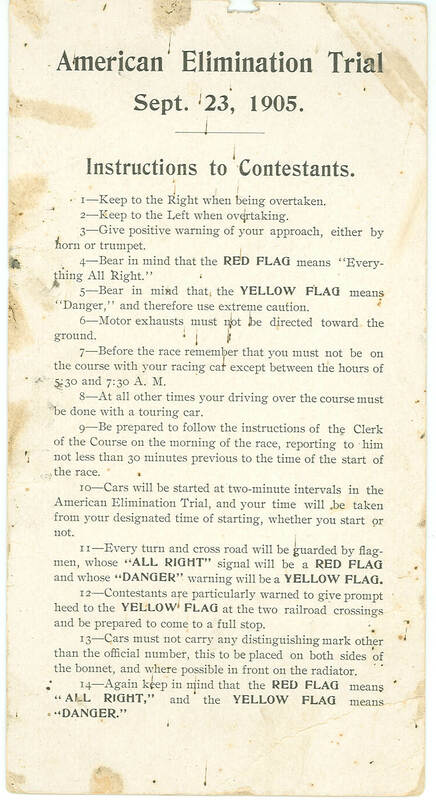 As required by race officials, they would switch positions for the Vanderbilt Cup Race. The eventual winner the #2 Pope-Toledo driven by Bert Dingley. 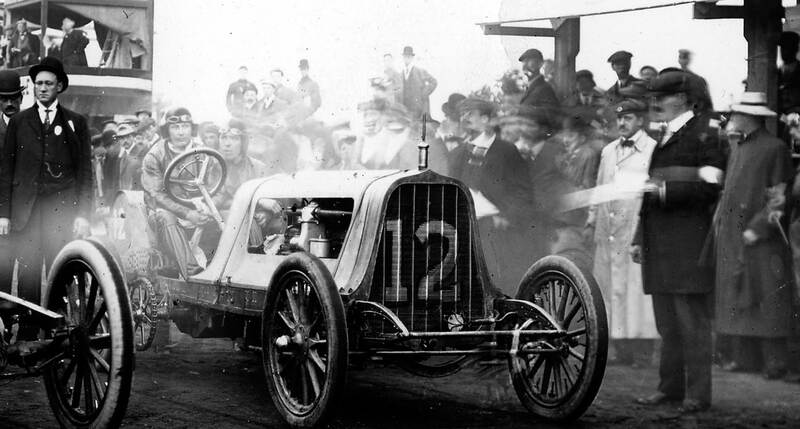 The only non-gasoline car ever to race in the Vanderbilt Cup Races- the White Steamer. 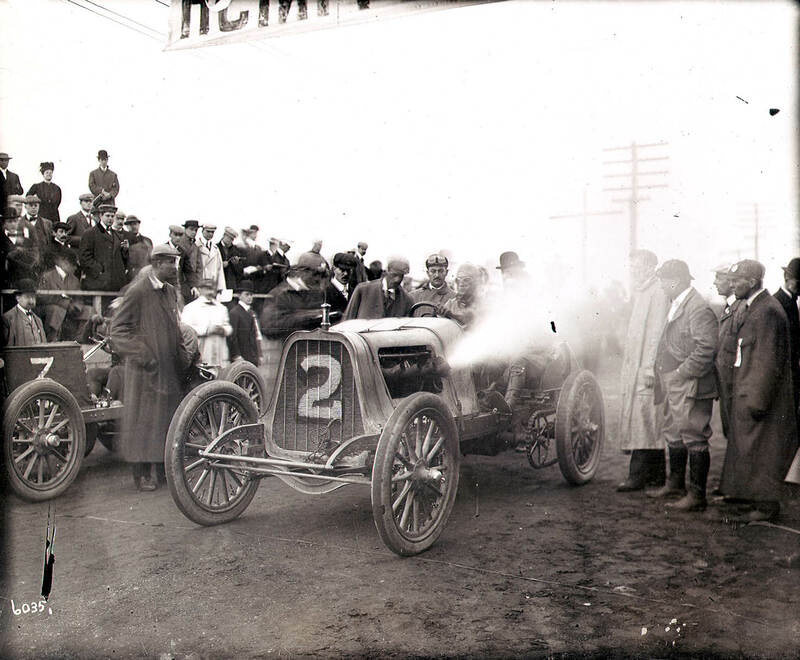 The Pope-Toledo driven by Herb Lytle at the starting line. The #8 Thomas on Jericho Turnpike in Jericho. The #8 Thomas heading east in front of the press box/officials' stand in Mineola. 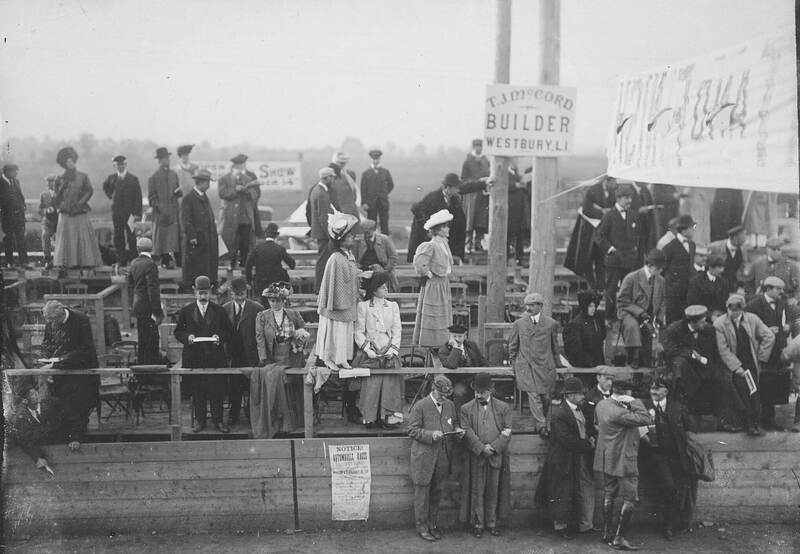 Virginia Graham "Birdie" Vanderbilt (left), Willie K's wife, was the major celebrity at the race as she stood on the railing to view the racers. She was accompanied by her friends Natalie Martin (center) and Caroline Stevenson (right). Note the broadside below Mrs. Vanderbilt. The broadside was placed throughout the course promoting both the American Elimination Race and the Vanderbilt Cup Race. The White Steamer making the turn at Bulls Head Inn on to Glen Cove Road in Greenvale. Note the broadside posted on the tree. Today, driver Walter White would have been able to get a bagel at Ben's Deli which will be located on his left. The White steaming down Jericho Turnpike. 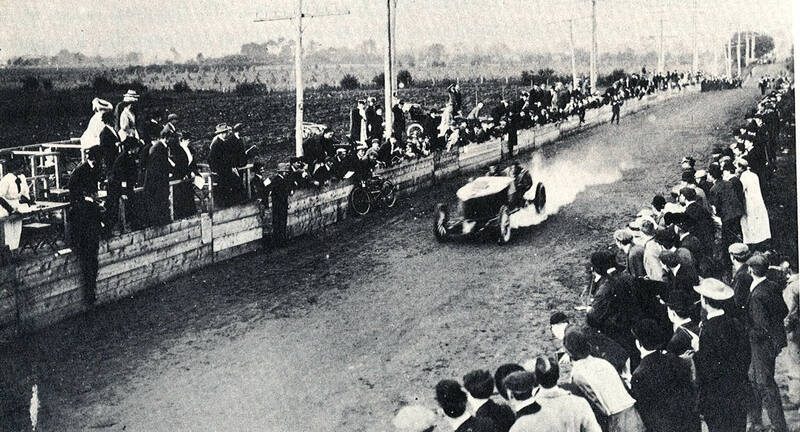 Bert Dingley's Pope Toledo won the race, leading all 4 laps. 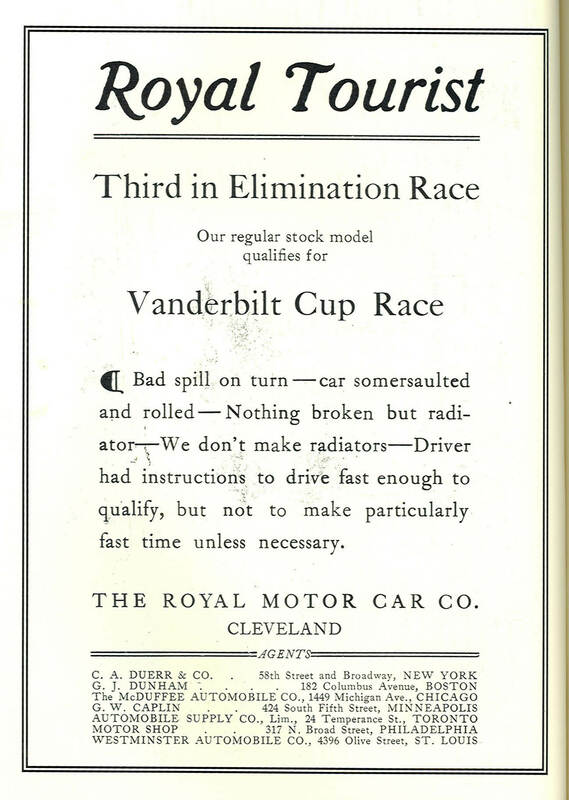 Several manufacturers protested that their racers were not selected for the Vanderbilt Cup Race.